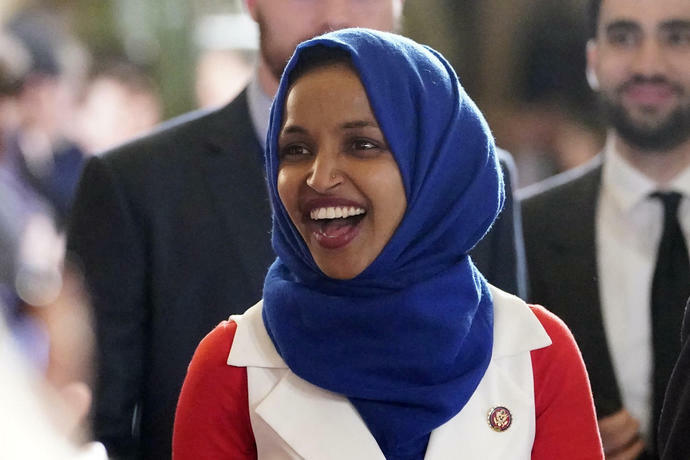 President Donald Trump says freshman Democratic congresswoman Ilhan Omar "should be ashamed of herself" over tweets suggesting that a powerful pro-Israel interest group paid members of Congress to support Israel. 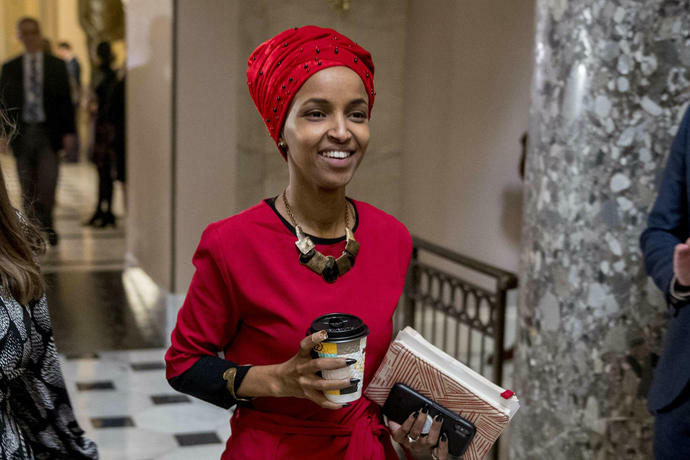 The Minnesota congresswoman "unequivocally" apologized earlier Monday after House Speaker Nancy Pelosi and other Democrats rebuked her. She said she had no intention of offending anyone and thanked her colleagues for educating her on anti-Semitic tropes. On Air Force One flying to a campaign rally in El Paso, Texas, Trump said that Omar had made "a terrible statement" and that he didn't find her apology to be adequate. Asked what she should have said, Trump replied, "She knows what to say."